Breakfast!…. Who struggles to find something healthy, delicious and that’ll keep you kicking on throughout the morning!? Especially after a beautiful morning ocean swim. I have found over the years that breakie is one of the biggest struggles for clients I have worked with as there are so many shocking cereal/breads etc out there, it’s hard to know what’s ‘healthy’ and what’s absolute trash for you body. So given we know breakie is the most important meal of the day (sets you brain and body up for functioning), we had better ensure we’re getting the right stuff in. 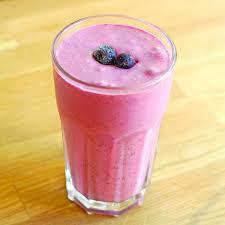 This breakfast berry smoothie will really get you going and feeling great! If you like it more or less runny just add more or less water. This berry smoothie has a great mix of protein, carbs and fat so will set your body up with energy while avoiding the high then low you’ll get from a high GI bread or cereal type breakie. It's totally normal to feel anxious on the day of an event, but how do you keep these feelings under control? Strengthen your core from the comfort of home with this core workout to music.